One of the best ways to ensure safety is to act in a sensible way when around hazards. Companies have to provide a safe place to work – this is why a health, safety and environment management system (HSE-MS) is needed. However, not all hazards can be removed or controlled by systems, and people working close to hazards should be careful of their own safety and their colleagues. Sense the hazard - can you even see/hear it? Know the hazard - do you understand how dangerous it is? Plan your response - what are you going to do about it? Act in the best way - will you actually do the right thing? Maintain this way of thinking. Look, Tell, Listen – give and receive feedback. 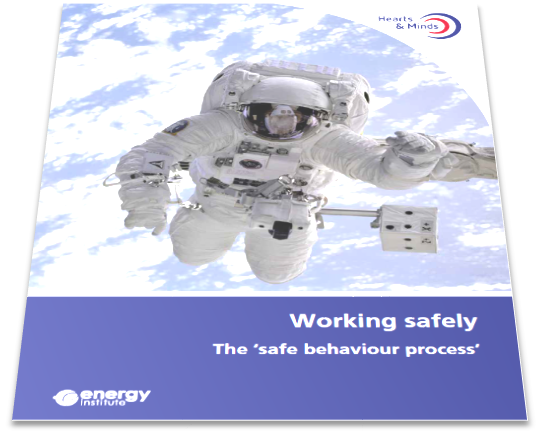 The Working Safely booklet provides a structure for understanding the causes of unsafe behaviour and addressing them. Explains how and why people fail to act properly around hazards. Contains tools that can be run in formal workshops or informally as day-to-day activities. Helps change the attitudes of people who take part in the exercises. Provides guidelines for managers on how to set clear expectations and improve safety reporting systems. Working safely can help develop the competence of front-line workers and to encourage them to work responsibly. Use Working safely as the basis for training workshops given to both supervisors and workers. The exercises within the booklet can also be given to workers in short 5-10 minute sessions by supervisors, for example, during weekly meetings and toolbox talks. Watch the Shadow of a doubt video which demonstrates when a safety intervention can and should be made in different scenarios.